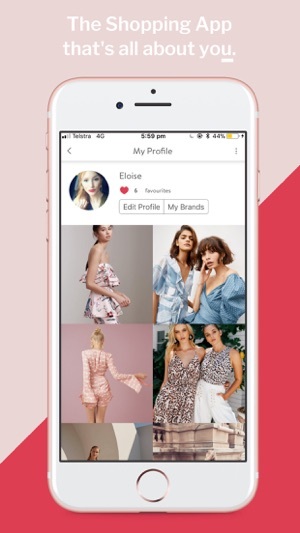 Shop You is your own personalised shopping app matching you with brands that suit your size, style and preferences. 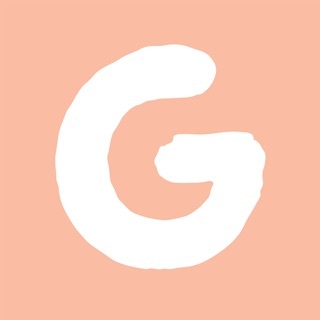 Shop from all your favourite brands including Country Road, Witchery, Uniqlo, ASOS, Cue, Decjuba, Forever New, French Connection, Lorna Jane, Lululemon, Cotton On, BNKR, Zimmermann plus many more. Shop You will find the latest trends and fashion, and provide style inspiration and guidance on what styles suit your body shape - all in a fast and easy shopping experience. 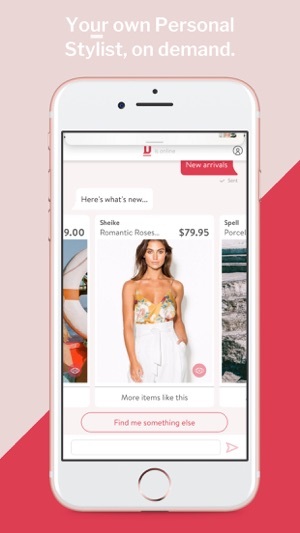 Shop You has an AI-powered stylist that does the browsing for you, sending you personalised recommendations handpicked from thousands of items to save you time. Finding clothes that fit and look good is difficult, in fact, 60% of women say they don't know their style, but Shop You is here to change that. Our mission is to be the most personalised, simple way for women to shop. How does Shop You work? It's simple, tell us your style, your favourite brands and your body shape - then our stylist ‘U’ will do the rest. Shop You allows you to buy what you want when you want. Disrupting the shopping experience by using cutting-edge artificial intelligence and algorithms to match you with brands based on your shape, size and preferences. There is also a chat function allowing you to message the app to find a specific item. Need a stylish dress for an event? Shop You will find you the ideal style and message you ideas direct to your mobile, it’s simple, fast and fun. The technology used by Shop You is the first of its kind and signifies a bold new direction for the future of fashion. Download Shop You today and discover a whole new world of the latest fashion, all direct to your mobile. If you enjoy the app, please leave us a good review! If you want to improve U, or would like us to add one of your favourite brands, please email us u@shopyou.com.au. We’d love to hear from you. 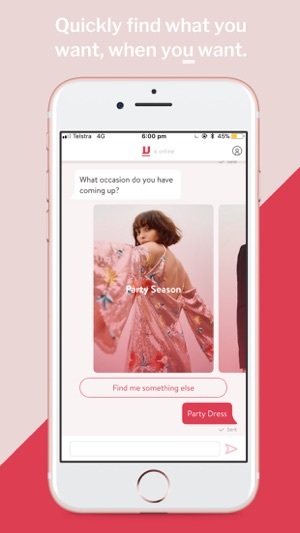 We've updated our push notifications so that we can send you the latest from style inspiration, outfits for occasions, sales and new arrivals based on your brands, your style and your body shape. I am impressed by the way this app is tailored to suit my need. It is totally different from other clothing apps I have been using. It is like a friend who knows exactly what I am looking for. I hope more items will be added soon so that I have more options. This app is really easy to use, it tailors your fashion taste to your body shape and preferred brands. 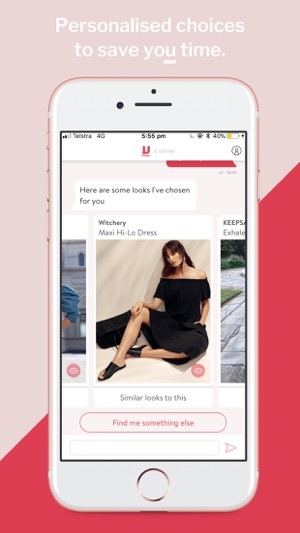 It also gives you styling tips and connects you with sellers showing sale items and their full product range.